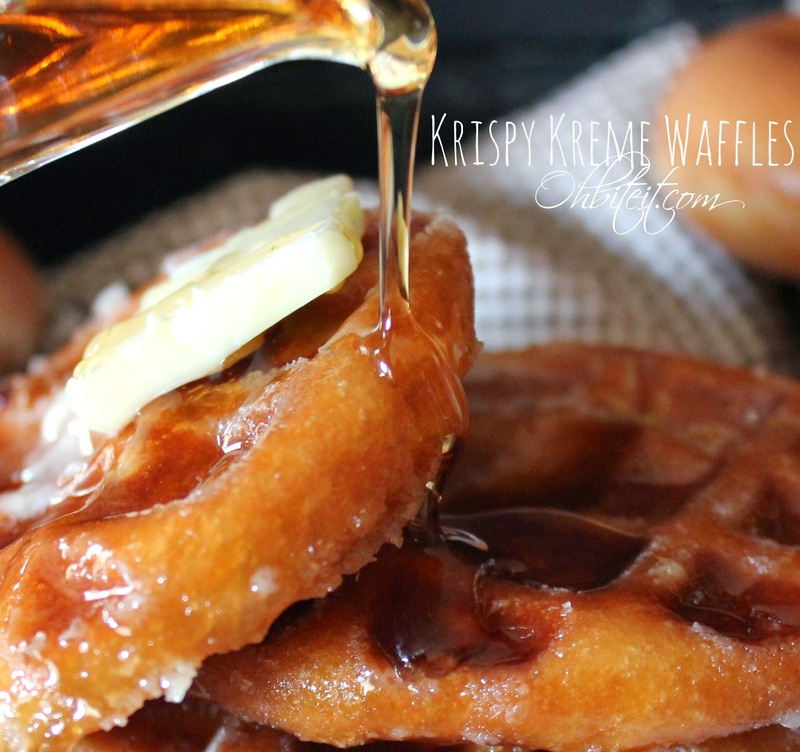 Last night I put a Krispy Kreme glazed doughnut in my waffle maker. Why? Because the Internet told me to. Now, obviously I don't do everything the Internet tells me. That could get messy. But this I would wholeheartedly recommend - the end result is sticky, chewy and quite delicious. Many thanks to OhBiteIt for the tip! (Oh, and it did get messy - don't use your much loved, American import, can't be cleaned with water Waring Pro for this, whatever you do. 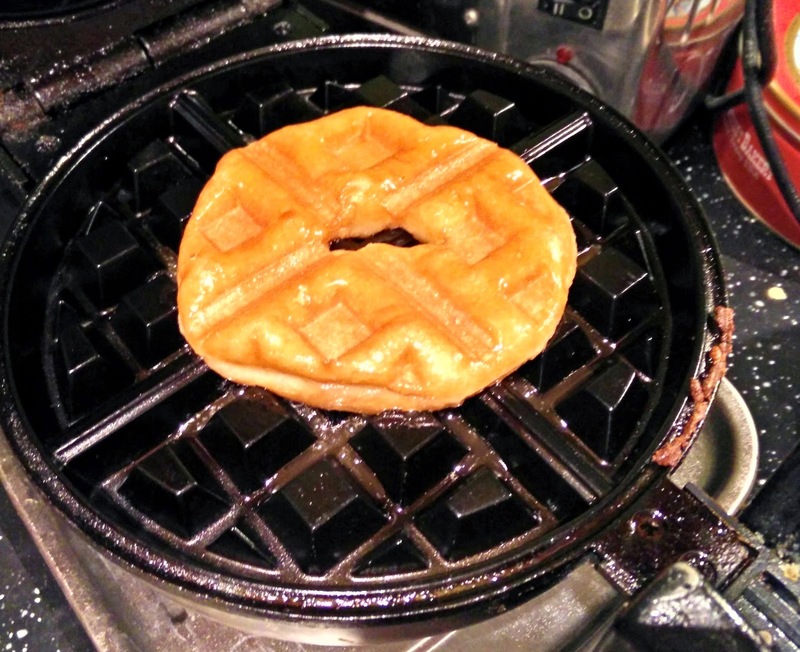 The waffle iron fills with sugar that's almost impossible to get out and burns horribly. Many thanks to my lovely wife, Angie, for eventually getting it clean). Cambridge has been invaded by US sweet-and-fast food recently - first Cinnabon at Lion's Yard, the Dunkin' Donuts at the Grafton, and now Krispy Kreme at the Grand Arcade. Personally, I find all of these just too sweet - I'm more of a fan of American savouries - and all push you to buy in ridiculous quantities. For our waffle experiment, we needed just six doughnuts - but we left with twelve. Why? Because twelve is just 45p more expensive than six. So we now have six in the freezer waiting for me to come up with an easy clean solution to the sticky waffle problem. However, like bacon and pancakes, that cloying sweetness leads to another very American idea - combining them with something intensely savoury. 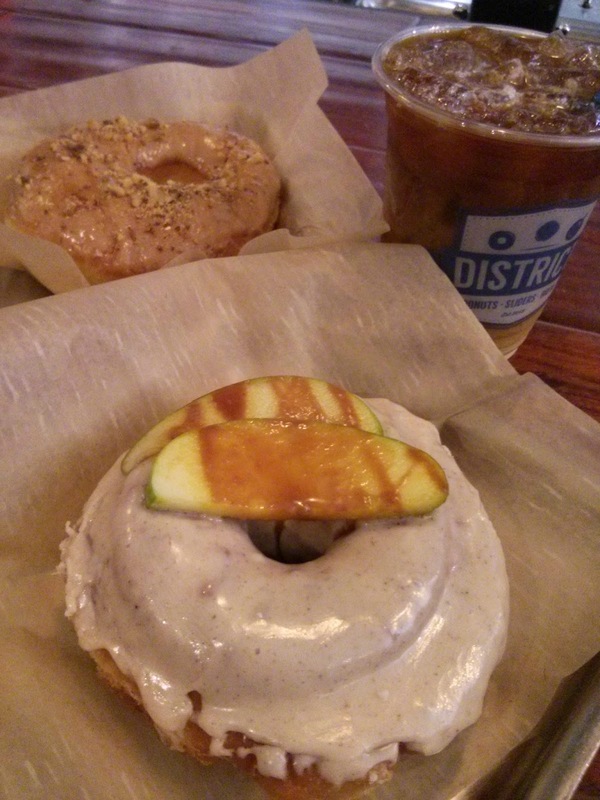 I first encountered this at District Donuts Sliders Brew in New Orleans. We had their 'fancy' doughnuts - if memory serves me correctly, I had apple and cinnamon and my wife had salted caramel - but what everyone else seemed to be eating was their 'Croquenuts'. I've since discovered that this savoury doughnut wasn't a one off. 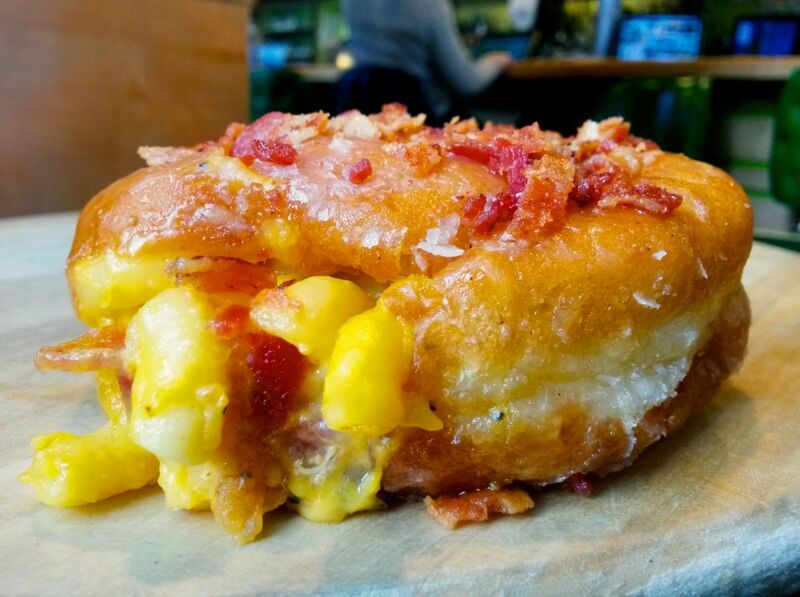 My friends on Facebook didn't share my enthusiasm for this - the 'The Bacon Mac & Cheese Donut' by Philly based PYT. I thought it looked awesome. So this was my prediction - Doughtnuts will be the next Cupcake. The next food trend to cross the Atlantic will be the artisan Doughnut, that we'd see Doughnut pop-ups in Hoxton within the year, and I was right - here's Dum Dum Doughtnuts on Bethnal Green Road. So come on Cambridge, let's join in. Let's not let the Americans take over. Cambridge needs a proper, local-run doughnut shop, selling both sweet and savoury. And will I volunteer to do the taste testing.